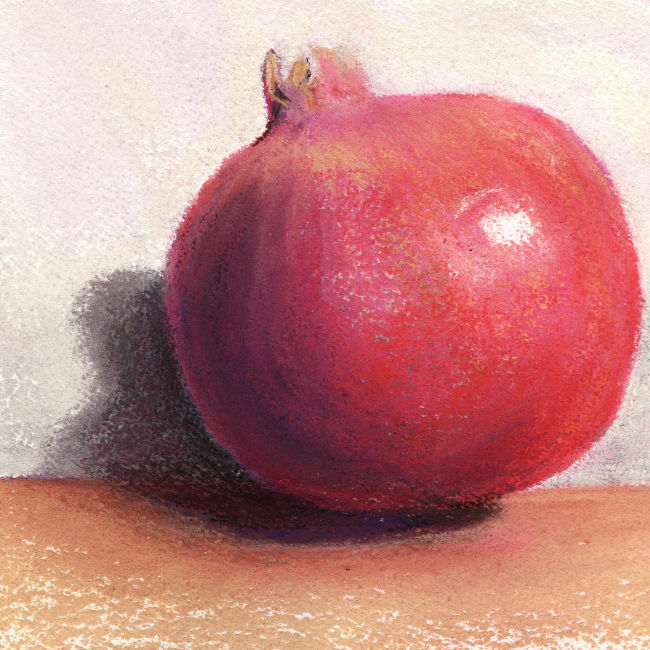 The amazing pomegranate. Colorful skin wrapped around a mass of seeds that are a curious gathering of crunch. I like the end result of this piece. I had a watercolor underpainting and it shows through here and there and brings an added dimension to the layers. I was able to produce lost and found edges and I think the shadow colors are accurate. Now, off to eat those seeds. Curiouser and curiouser.